After a three year search, I finally found a copy of my father's basic training class book from Sampson Air Force Base. He graduated with Flight 3192 during the week of May 20-25, 1954. 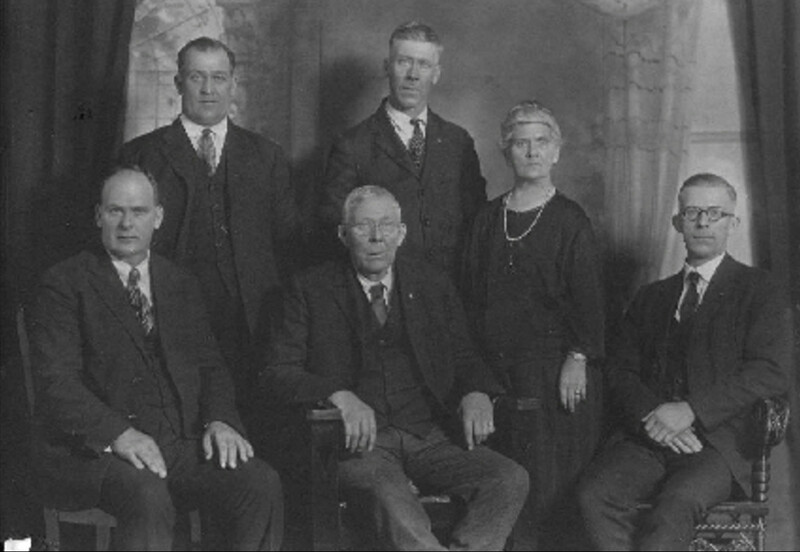 Thanks to a DNA connection and fellow Slate researcher, I recently was able to locate the first photo I had ever seen of my maternal great grandfather, Raymond Slate, along with his siblings and parents. Left to right standing in the back row, Raymond F. Slate, Bert Slate, and Loretta Card Slate. Seated in front, Emory Slate, Nathaniel Slate, and Herbert C. Slate. The year of the photo is unknown, but it was likely taken in the mid 1920s (Loretta died 9/21/1929). The resolution of the image is not great, but I am hoping that the original photo can be located for a better scan. It was a beautiful mid-October day on our last trip to Watertown and the timing was perfect for a visit to the small Fox Creek Cemetery, just off County Road 6 in Three Mile Bay. Spending summer after summer just a mile down the road at our camp on Chaumont Bay, I never knew that my 2nd great grandfather, Lester C. Angell and some of his family were buried so close. About a year ago I came across this newspaper clipping from the Watertown Daily Times with a great photo of the "jubilant students" heading home from Starbuck School on the last day of school, June 20, 1974 -- including yours truly after completing first grade. My Mom clipped this from the paper and I'm so happy that I found it 40 years later. Recently, as the current school year was winding down, I thought of this clipping again and was able to track down the original negative from the Watertown Daily Times archives, scan it, and restore the photo to its original glory! I love the enthusiasm the photographer (unknown) captured that perfectly matches the last-day-of-school feeling. I'm on the right side of the photo directly behind and above the girl carrying the Loblaws shopping bag. Several of my family members went through basic training at Sampson Air Force Base near Geneva, New York. I recently found a yearbook that contains the class of my uncle Charles Siragusa, Flight 3510, 1954. I will continue to search for the book that contains my father's Flight 3192. My 2nd great grandfather, Lester C. Angell, served in the Union Army from 1862 through 1865. For the last couple of weeks I have been analyzing his military records that I was able to obtain from the National Archives -- 28 pages of muster cards, letters and statements that document his service as a very young man. While there have been great challenges in uncovering the stories of my great grandfather Buonaventura Siragusa and his brother Stefano, the existence of marriages and children have made both of those trails much easier to follow. 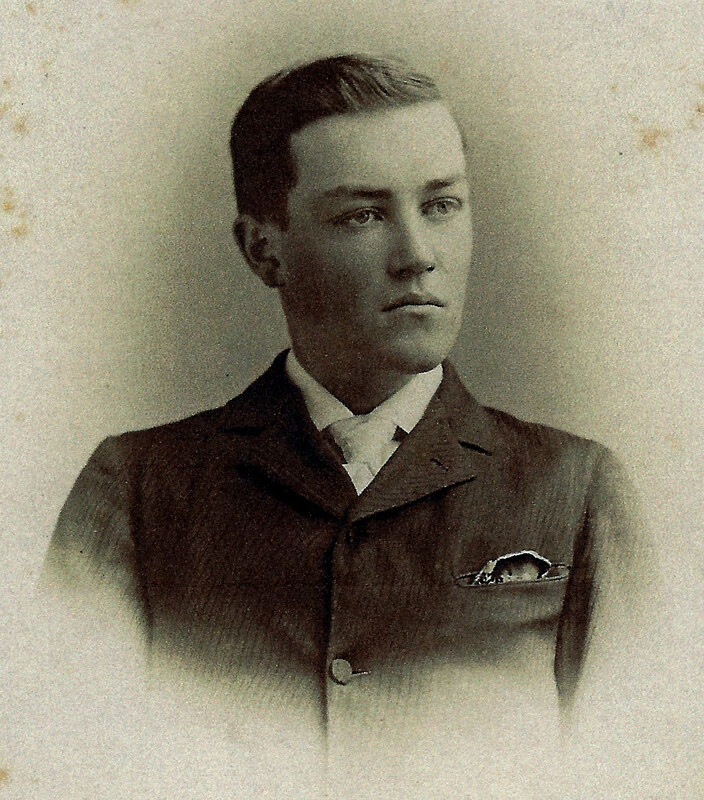 A third brother has always been mentioned, but not much more than "he also came to America" or "he lived in Chicago" as clues. Many thanks to one of my new-found cousins from the Angell family for sharing this and other great photos with me. It always pays to take a second look -- that's true for genealogy at least. 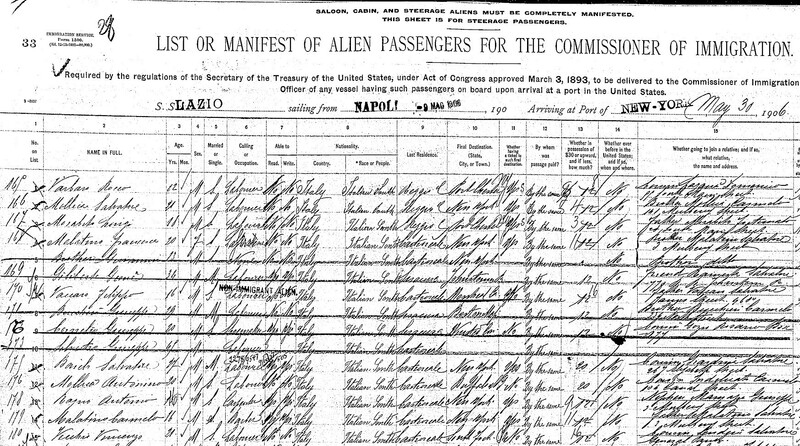 As I was updating the Ellis Island page recently, I was re-reading the May 30, 1906 manifest from the SS Lazio with the arrival of my Great Grandmother Francesca Malatino and found something interesting. 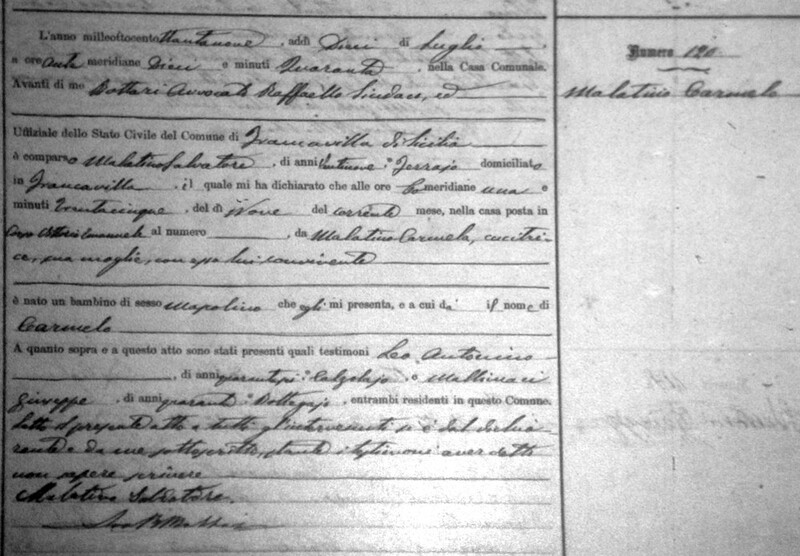 Francesca (age 20) was traveling with her younger brother Giovanni (13), shown on lines 4 and 5. Their destination was Mulberry Street, the home of their older brother Salvatore Malatino, who had arrived in America the year before (and would eventually lead us all to Watertown). A few entries down the page, on line 14, you'll find a third Malatino, Carmelo. 16 years old, occupation listed as "barber," Carmelo's destination (shown below) is his father, Salvatore, living on Mulberry Street. When I first noticed this a couple years ago, I assumed it was Francesca's nephew and they were all going to see the same person. At that point, I had not done much research on the Malatino line and didn't investigate Carmelo any further. As I give this a closer look now, I know he could not be the son of Francesca's brother Salvatore, as he was only 8 years older than Carmelo. Now it's a mystery...are there two Salvatores? The next step was to do a search for Carmelo Malatino (born about 1890) to confirm his father's identity. I found that were two Carmelo Malatinos living in the United States, both from Francavilla, born in July and October of 1889. Birth dates are often recorded incorrectly, so I was somewhat skeptical that there were two people with the same name, from the same town, born a few months apart, that both came to America. The answer would be found in the actual Francavilla birth records. Searching the microfilmed volume of births for 1889, I did indeed find two Carmelo Malatinos, one born July 9 and another October 3. The one aboard the Lazio was Carmelo Malatino, born July 9, 1889, to Salvatore (born about 1860) and Carmela Malatino (record below). The second Carmelo's father was Francesco Malatino. Now I have confirmed that there were two Salvatore Malatinos, both living in the same place and likely cousins, although I have not found the exact relationship yet, but that's just a matter of a little more digging. A couple years ago while scanning a roll of microfilm containing civil records from Collesano, Sicily, I came across something that immediately caught my eye. One of the benefits of scrolling through countless images, at least for me, is admiring the beauty of many of the records. On this particular record from 1830, an official town seal hand-stamped by the clerk designating "Municipio di Collesano" as the originating place, jumped off the page and I knew right then I wanted to do something cool with this unique design. The circular words meaning "city/town hall of Collesano" surround a Trinacria [trih-ney-kree-uh], the symbol of Sicily. 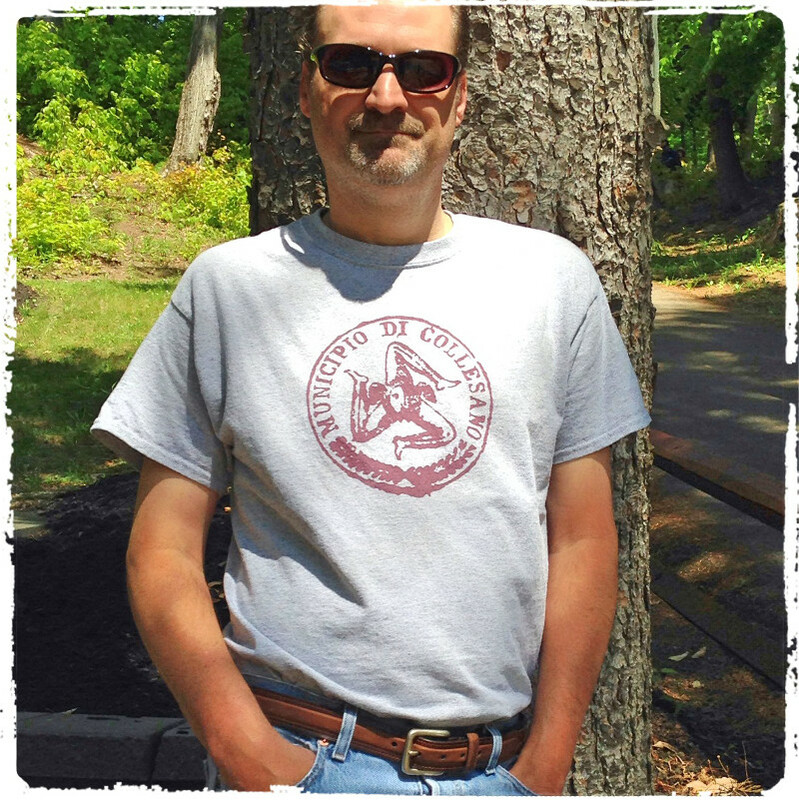 I have used this stamp in the design of the masthead of this site (at top), and now the nearly 200 year old image lives as my latest t-shirt design. This one falls into the category of "never stop searching!" After about two years of searching for information about the death of my Grandfather's older brother Charles, I was finally able to locate a death record in the state of New Jersey. 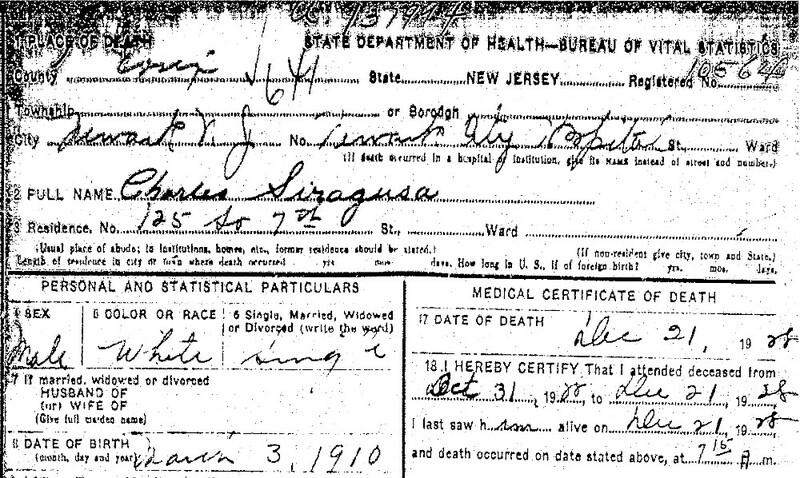 Charles Siragusa, born March 1910 in New York City, was the first surviving child of Buonaventura and Francesca (a 7 month old daughter Domenica died the year before he was born). The last trace of him that I was able to find was in the 1925 New York State Census living at the Scudera residence on Palmer Street in Watertown. From some brief family history notes that were written by my Great Aunt (Charles' sister) Nancy Siragusa, I knew that he died around the age of 18 from a heart ailment. With that clue, I searched for any possible record of his death between the years 1927 and 1929. Searches in the Watertown Daily Times, Jefferson County vital records, City of Watertown records, area cemeteries and even the New York State master index of vital statistics all turned up no matches. At that point I was reasonably certain that he could not have died in New York and began to look elsewhere. Upon re-reading another writing of my Great Aunt Nancy, I came across another clue. She had written a short story, that seemed to be at least partly based in fact, detailing the life of young girl and her family in the 1910s and 20s. She wrote about a brother she called "CC" that had moved with her to New Jersey to live with other family members. She talked about how CC enjoyed life in New Jersey and had a job at a nearby factory that made shears. As the story continues CC becomes ill, is hospitalized, and ultimately dies in December of 1928. Was the "CC" in her story actually Charles? The age and parents listed on the death certificate confirmed that this was the correct person. Furthermore, the location of Newark City Hospital and the date of death parallel the "CC" in Aunt Nancy's story. Charles' address, 125 South 7th Street (a five minute walk from the J. Wiss & Sons factory) is where the story comes full circle. Census records confirm that was the home of the Rose (Siragusa) Provenzano family, the first daughter of Buonaventura Siragusa and Domenica Alfonzo. Charles and Nancy had moved to New Jersey to live with their half sister. He was buried at Holy Cross Cemetery in Newark on Christmas Eve 1928. Facebook has become a great genealogical tool. Through a Collesano, Sicily group, I was able to connect with three new cousins -- Carlo Panzarella, Maurizio Battaglia and Antonio Alfonzo. Their surnames are all very prevalent in the history of Collesano, and our connection is through the Pizzillo line (Buonaventura's mother was Rosaria Pizzillo). A little bit of digging revealed that our common ancestor is Maestro Mariano Pizzillo, who lived from the mid 18th to the early 19th centuries, and was instrumental in Collesano's famed ceramic trade. 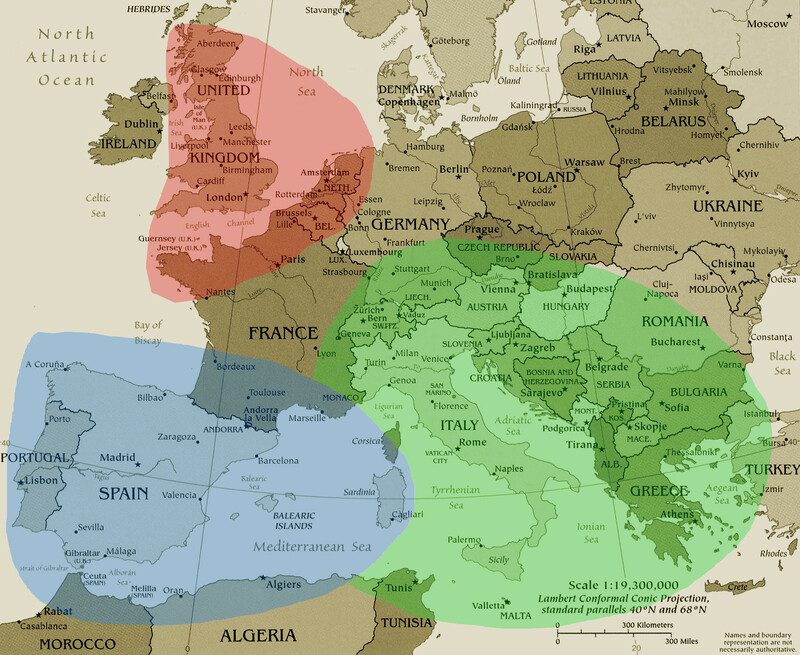 In addition to my newest trio of cousins, I have also discovered relatives from the Saladino, Dellutri, and Randazzo families, as well as the descendants of Buonaventura's brother Stefano's family. All of them have been a pleasure to talk to, and were an unexpected benefit of this project.